The Los Angeles Zoo’s female hippopotamus, Mara, went into labor at 1:00 p.m. on Halloween 2014 and gave birth to a healthy calf two and a half hours later. Guests who happened to stop by to view Mara and her companion, Adhama, received the special Halloween treat of witnessing a live hippo birth. 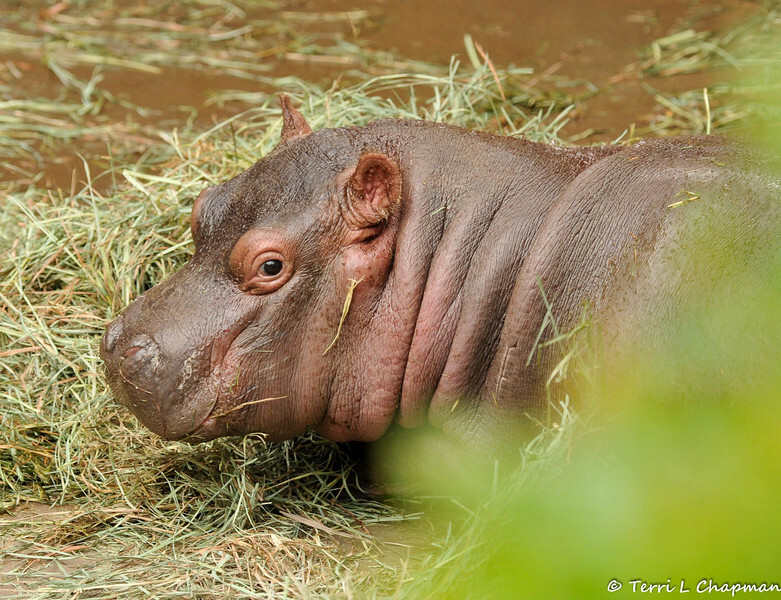 This is the first hippopotamus calf the Zoo has had in 26 years and the calf was later named Rosie. Mara, 10 years old, arrived at the L.A. Zoo from Topeka Zoo in December 2013 as a companion for their male, Adhama, 3 years old, who came from the San Diego Zoo in June 2013. This was the first time in many years the Zoo had introduced a pair of hippos, and they had an immediate connection. Since breeding is closely monitored to comply with the Species Survival Program (SSP) and Mara was on birth control, the birth came as a happy surprise but wasn’t completely unexpected. Animal care staff had a hunch a birth was imminent due to Mara’s symptoms such as weight gain, but they had limited testing options to confirm the suspicion. Staff referenced their breeding notes, and guesstimated that a birth could potentially happen in mid-November based on a gestation period of eight months for hippo pregnancies.